Vikram Kumar is one intelligent filmmaker who loves to juggle interesting genres with his each film. 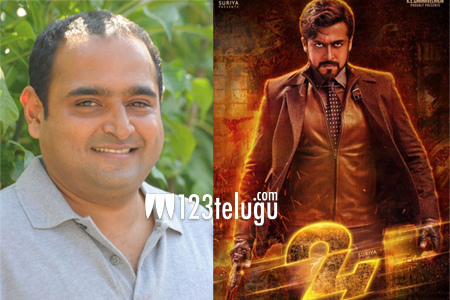 After directing a romantic entertainer with Ishq and a family drama with Manam, the talented director is awaiting the release of Suriya-starrer 24, a sci-fi drama. In his his latest interview, Vikram Kumar revealed that his next film will be a medical thriller. However, apart from revealing the genre, Vikram has not divulged any further details about the film’s plot or the cast. In the past, there were reports that Vikram will join hands with Allu Arjun after 24’s release. But whether this combination will materialize in the near future is something to be seen.